Featuring enhanced protection against ESD events, the PowerBeam AC offers a more robust mount with a convenient lifting loop or handle. 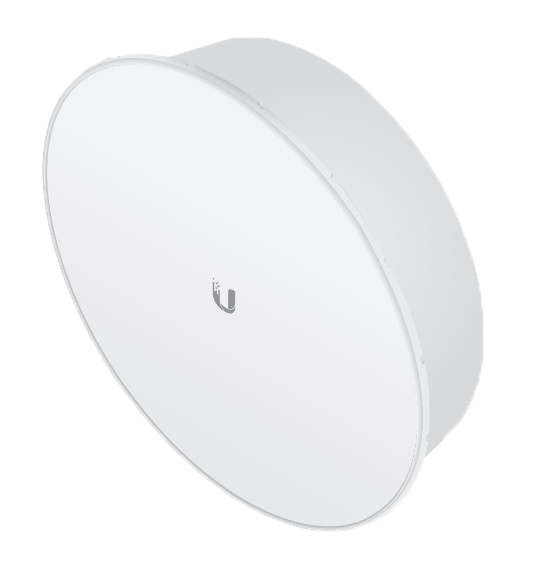 Ubiquiti's InnerFeed technology integrates the radio into the feedhorn of an antenna, so there is no need for cables to connect the radio to the antenna. This improves performance because it eliminates cable losses.